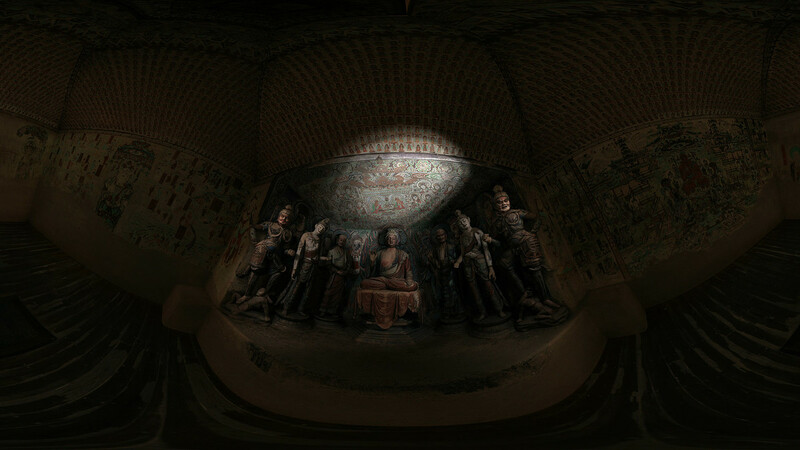 The Virtual Immersive Experience was conceptualized with the Getty curatorial team as a way to use modern technology to bring ancient caves to life for the Getty Center’s Exhibition Cave Temples of Dunhuang: Buddhist Art on China’s Silk Road. 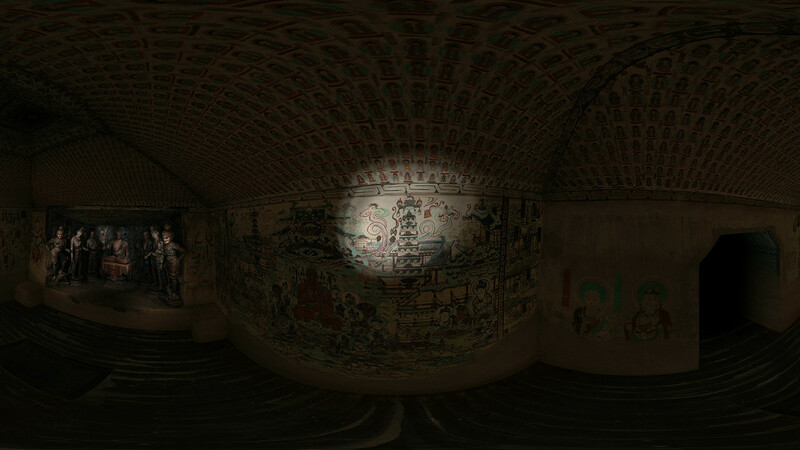 Closed to the public, Cave 45 was selected because its small size made it possible to accurately replicate within the Getty Lecture Hall, and because it had a beautiful combination of sculptures and wall paintings. 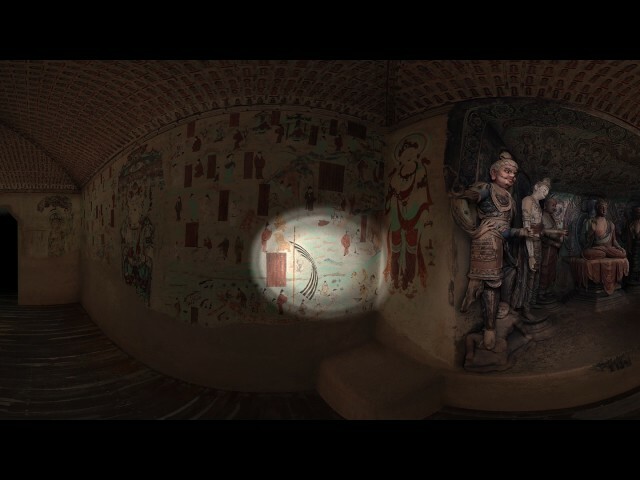 There are two parts to the digital immersive experience. 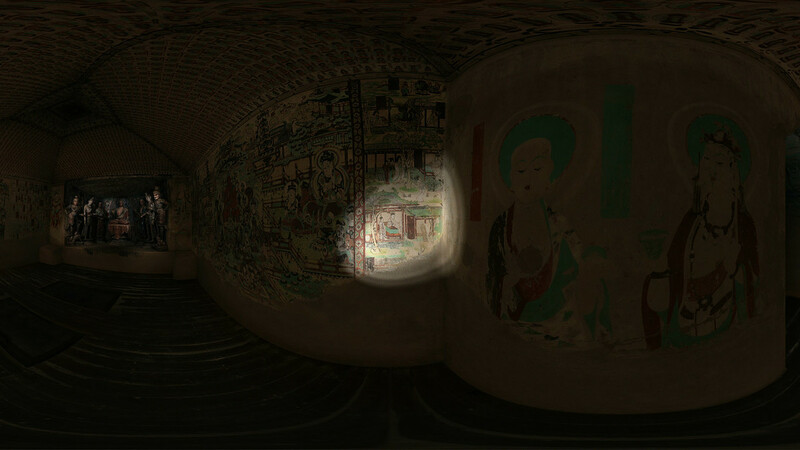 First is the foyer where visitors see large panoramic wall projections providing overall context of the Mogao Caves in the Gobi desert. 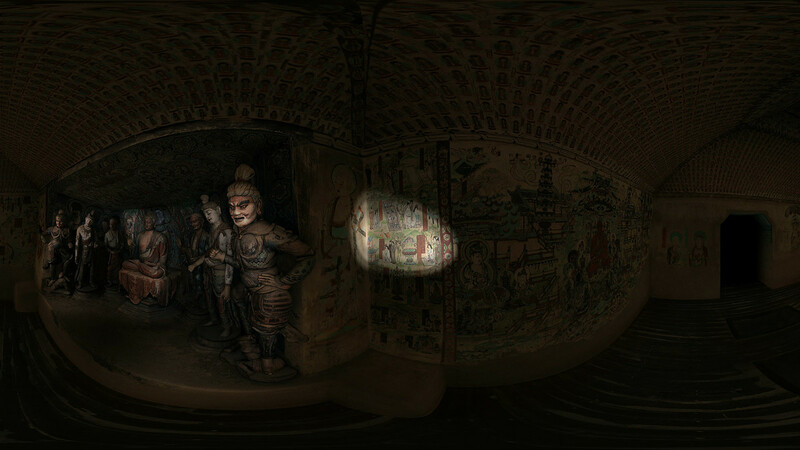 Following this, visitors enter the inner room for the 3D Experience of Cave 45, created with a holographic 180° projection along the inside of a spherical wall, so that they feel partially surrounded by the cave. 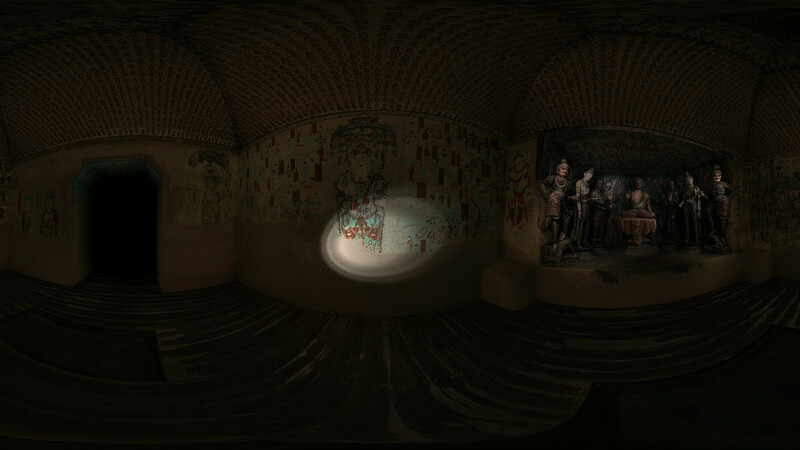 To complete the immersive experience, the scene is set against narration and music that was recorded specifically for this exhibition, which highlights the history and details of the art. 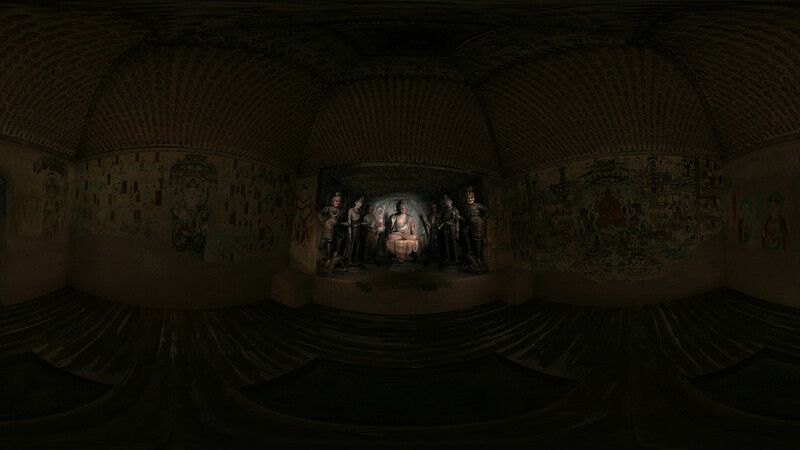 This exciting project marks the first time a proprietary 3D shader has ever been used in a museum installation, allowing us to create a remarkable spherical stereoscopic experience.